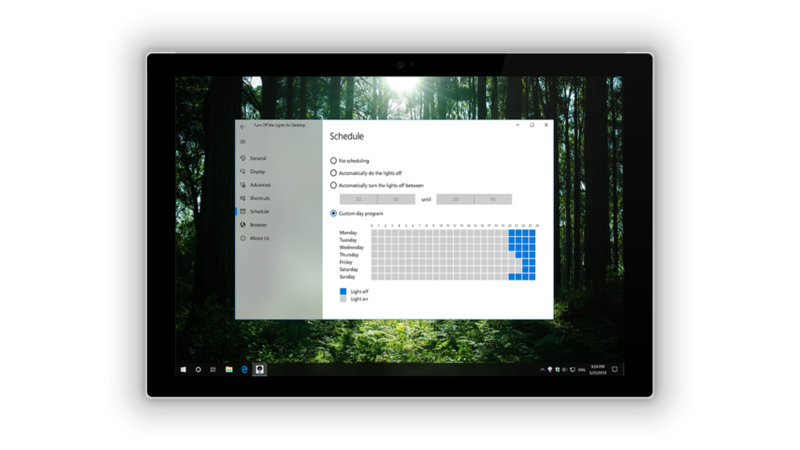 The desktop dimmer app Turn Off the Lights for Desktop (for Windows 10) get a new update to have a more comfortable experience in a beautiful user interface, thanks to the Fluent Design System. For example, the Preference window is now updated with the new Acryl Material design. That gives you an accent of the context behind the window. Turn Off the Lights for Desktop is the desktop dimmer app to dims your whole screen and with an option to highlight that selected app on the top of the dark layer. So, you can keep concentrating on that important app (without any distractions around your desktop). For example, you can focus the video player app from Windows (or other apps such as iTunes, VLC Media Player, Aurora Player, etc.). The preference window is now sizable for each screen. Responsive on the size you make with the preference window. And with the right navigation bar, you can find fast and clearly the option you want. What is also great is that it works with your light and dark theme in the Windows color theme. When you installed the app you see a white lamp icon left of your Windows clock. And with a single right click, you can customize the dark layer. Now, this context menu is a darker menu that is more comfortable for to click on a color or change the opacity of this dark layer. Turn Off the Lights for Desktop use now the Roaming storage data. So with this new storage, it can sync the app data and settings to your Microsoft account. And whenever you log in to your new device, everything will be restored to your previous set settings. 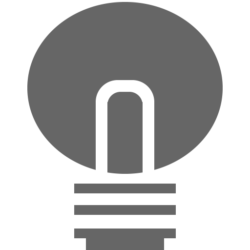 You can download this remarkable Turn Off the Lights for Desktop app from the Microsoft Store. The desktop dimmer app update is available for Windows 10 build 1803 and higher. 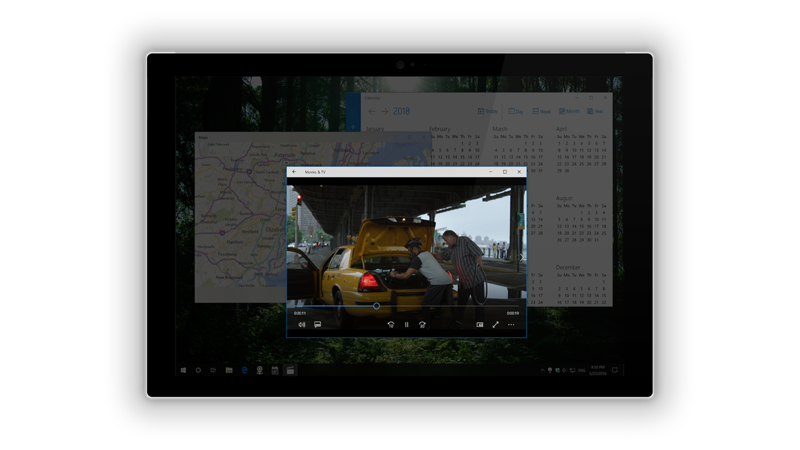 And for users who already got this powerful app on his Windows 10 desktop computer, it is a free update. Previous PostPrevious 🏅 Share a positive online review to Support Our Work!